Students at the 2016 Evening of Gratitude. We celebrate the act of giving to others and creating dreams during our annual “Evening of Gratitude.” This is a special night and one that I look forward to each year. Our school’s 2017 scholarship and grant program provided $6.7 million in total support for our students this year! We are deeply grateful for the generous support of our individual, association and corporate scholarship donors who make these new and continuing awards possible. 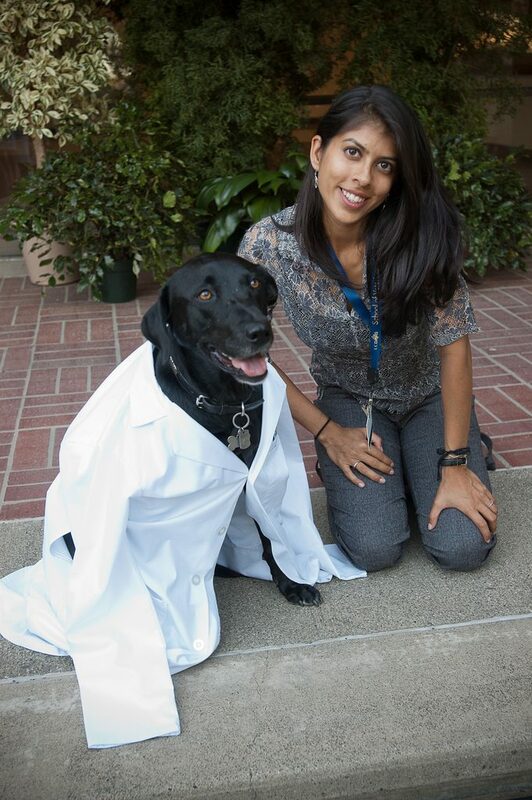 Dr. Anjolie Daryani with her service dog, Ebony, who accompanied her to classes and events, including commencement. An example of new investments in our students included the “Ebony Compassionate Care Scholarship Fund” created by Dr. Dustin Noack (DVM, 2014), our first Evening of Gratitude speaker, and Dr. Anjolie Daryani (DVM, 2015) for a student who demonstrates exceptional compassionate care for animals. 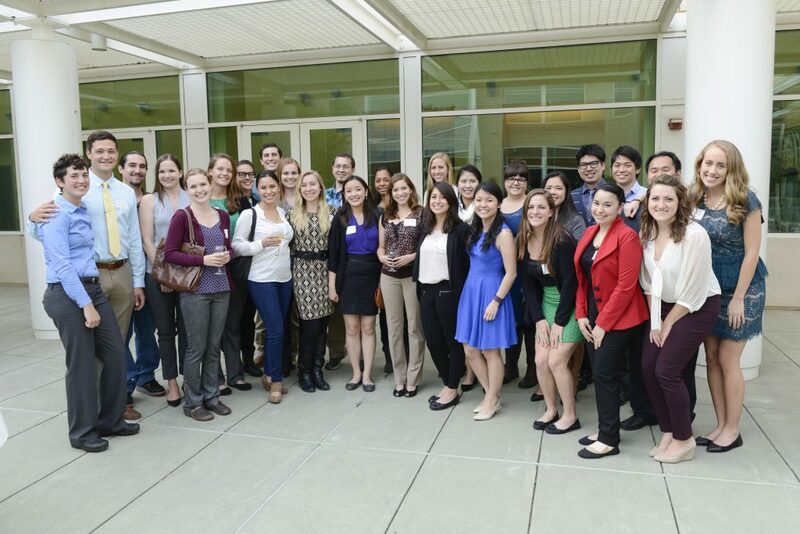 Their compassion will pay forward to benefit the next generation of veterinarians from UC Davis.